Des Howell hard at work at the Eumundi Markets. I have been known to draw the odd human myself, but I don't think I could cope with the pressure of having to create a likeness while a paying customer was watching over my shoulder! 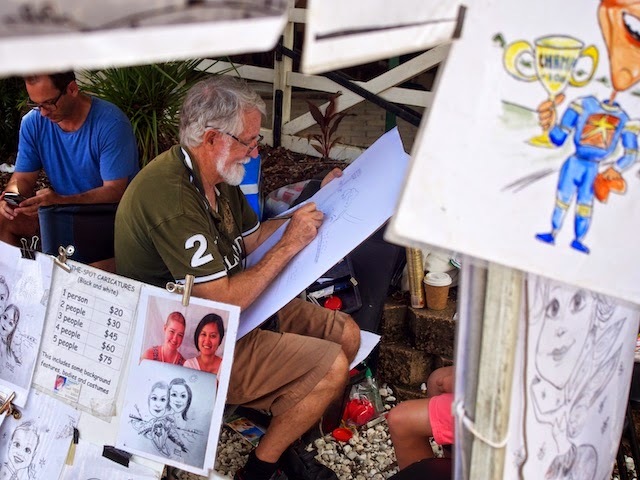 We have caricature artists like him here as well.